Sketches and sculptures, pastels and portraits, international and neighborhood artists, you'll find it all in our comprehensive guide to Little Rock art galleries. When most people think of Little Rock, they often think of its lush natural features. When we at Soirée think of Little Rock, we think of a rare tapestry of art, philanthropy and community — and yes, its lush natural features. In honor of that tapestry, we set out to explore the various venues housing visual art in our fair city. What we found goes beyond long, gleaming halls and high ceilings and dives into the intimate showrooms tucked into sleepy streets. Located in the campus's fine arts building, this gallery features contemporary and historical pieces in traditional and nontraditional mediums within its intimate 627-square-foot exhibition space. During school year: Open 9 a.m. - 5 p.m. Monday - Friday, 10 a.m. - 1 p.m. Saturday, 2 p.m. - 5 p.m. Sunday, closed on university holidays. During summer semester: Open 9 a.m. - 5 p.m. Monday - Thursday or by appointment, 9 a.m. - 4 p.m. Friday or by appointment, closed on weekends and university holidays. Argenta Gallery is a favorite during monthly Third Friday Art Walks, featuring a broad range of artists and shows with social impact in the heart of the neighborhood. Open during Third Friday Art Walks from 5 - 8 p.m. or by appointment. A pillar of the arts community statewide, the Arkansas Arts Center features a world-class international collection of art, a busy calendar of exhibits and performing arts and a prestigious collection of works on paper. Open 10 a.m. - 5 p.m. Tuesday - Saturday, 11 a.m. - 5 p.m. Sunday. 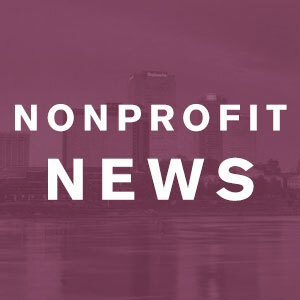 With a recent expansion into downtown's Little Rock Marriott, The Art Group is on a mission to connect art lovers with local artists. The gallery is owned and operated by the featured artists, meaning clients can view artists at work, buy directly from the artists and discuss the artistic process. Open 11 a.m. - 5 p.m. Monday - Saturday, 1 - 5 p.m. Sunday. A young gallery at only two years old, this space features a collection of local artist Barry Thomas' original works as well as community artists. The former bakery also hosts various workshops and classes throughout the year to keep the sense of community going. Open 11 a.m. - 5 p.m. Tuesday - Saturday. The Central Arkansas Library System's “gently read” bookstore isn't just for bookworms. Previously known as River Market Books & Gifts, this downtown store is also home to a gallery featuring rotating exhibitions by local artists, including pieces by CALS staff members. Open 9 a.m. - 5 p.m. Monday - Saturday. The work of local, national and international artists lines the walls of this Heights gallery, which boasts a second location in Miami. Open 11 a.m. - 6 p.m. Tuesday - Friday, 11 a.m. - 3 p.m. Saturday or by appointment. 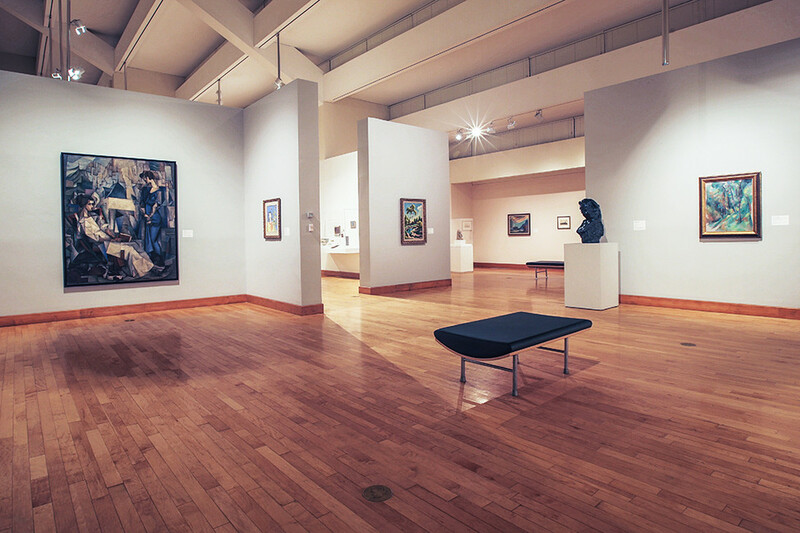 The largest of the university's galleries, this space showcases traveling, invitational, solo, group and student exhibits with space for large installations and traditional exhibitions. During school year: Open 9 a.m. - 5 p.m. Monday - Friday, 10 a.m. - 1 p.m. Saturday, 2 p.m. - 5 p.m. Sunday, closed on university holidays. During summer semester: Open 9 a.m. - 5 p.m. Monday - Thursday or by appointment, 9 a.m. - 4 p.m. Friday or by appointment, closed on weekends and university holidays. A staple in the local art scene, Cantrell Gallery claims the title of longest-running art gallery and custom framing business in the Little Rock area. 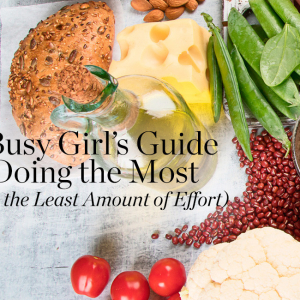 Emerging artists and established favorites are featured in this family-run gallery. Open 10 a.m. - 5 p.m. Monday - Saturday or by appointment. This Heights locale highlights everything from folk art imports to work from local up-and-comers, along with specialty and custom framing services. Open 10 a.m. - 5 p.m. Monday - Friday, 10 a.m. - 3 p.m. Saturday. Permanent home to the culmination of owner Anita Davis’ love of purses, this SoMa staple is noted as the only purse museum in the U.S. and one of only three in the world. Esse also plays host to multiple temporary exhibits throughout the year. Open 11 a.m. - 4 p.m. Tuesday - Saturday, 11 a.m. - 3 p.m. Sunday. Previously known as the Butler Center Galleries, the five Library Square galleries are located in the CALS Bobby L. Roberts Library of Arkansas History and Art building (formerly the Arkansas Studies Institute). There, guests will find rotating exhibits of all mediums, as well as the CALS permanent collection, with a portion of sales benefiting the acquisition and conservation of the library's permanent Arkansas artwork collection. Open 9 a.m. - 6 p.m. Monday - Saturday. 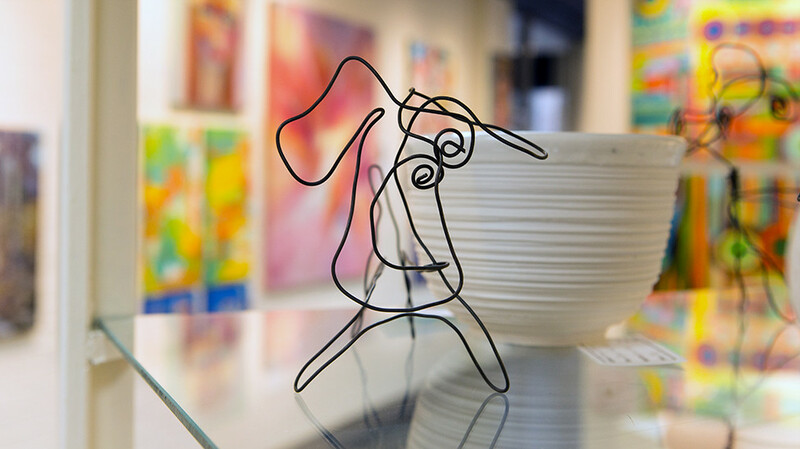 A variety of paintings, drawings and sculptures line the walls at Gallery 221, as well as a selection of unique artisan jewelry. 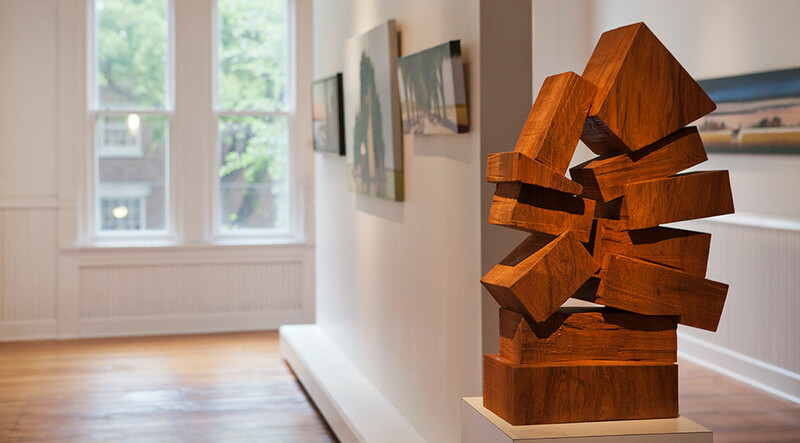 Along with the main gallery, the private Hollander and Collectors galleries await upstairs featuring pieces curated from private collections and with exclusive authorized representation in Arkansas. Open 11 a.m. - 6 p.m. Monday - Friday, 11 a.m. - 4 p.m. Saturday or by appointment. Located in the heart of Hillcrest, this gallery prides itself on a 20-plus-year legacy of representing some of central Arkansas' most cutting-edge and innovative artists. Open 10 a.m. - 6 p.m. Tuesday - Saturday. Unique and contemporary, Good Weather is a single-car garage turned participant-guided gallery. Minimalistic drywall and lighting put the artists' work front and center with the goal of "promoting the reciprocal relationship between maker and audience." While the gallery transitions into a yet-to-be-announced new space, it has accepted the invitation of Mylo Coffee Co. to present art in Mylo's roasting space next to So Restaurant. Open during exhibition openings or by appointment only. 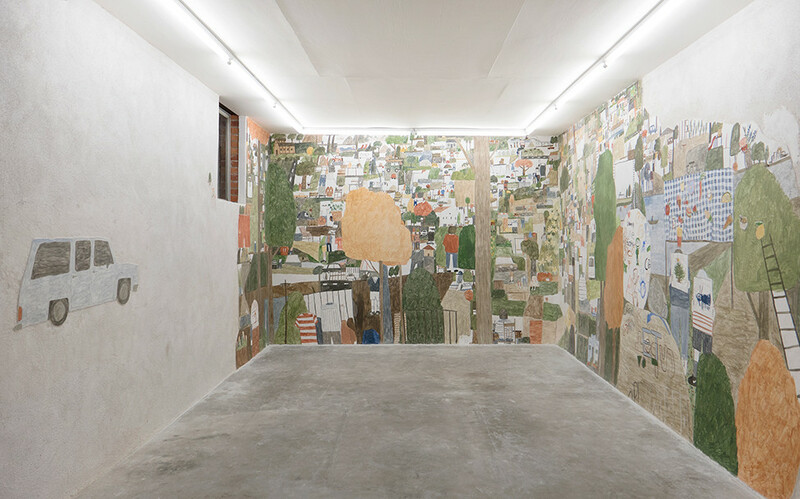 Good Weather’s primary location, originally housed in a one-car suburban garage in Lakewood, transformed in December 2017 into a permanent and ongoing fresco by artist Mariel Capanna titled "Little Stone, Open Home." Set on the second floor overlooking the Argenta Arts District, this 3,000-SF gallery offers public and private viewing space specializing in 19th and 20th century American paintings and contemporary Southern art, focusing on work by sought-after Southern regionalists. Open 10 a.m. - 5 p.m. Tuesday - Friday, 11 a.m. - 4 p.m. Saturday or by appointment. 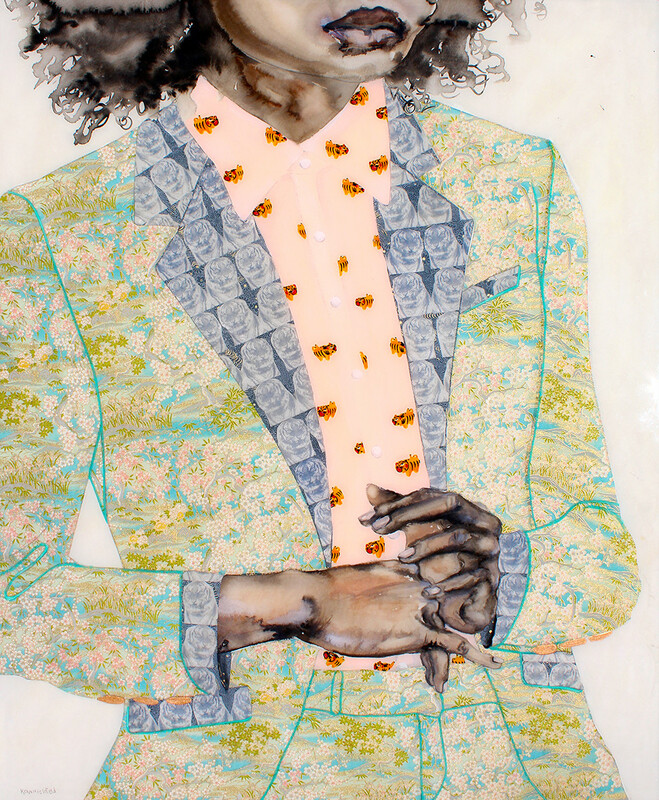 Consulting, appraisals, placement and hanging and more are all part the full-service offerings at Hearne, whose walls include works that recognize and promote the power of African American art while preserving and promoting the craft. Open 9 a.m. - 5 p.m. Monday - Friday, 10 a.m. - 6 p.m. Saturday or by appointment Sunday. This neighborhood shop may be known for its museum-quality custom framing service, but it also offers guests plenty of artwork options to fill an empty wall space. Open 10 a.m. - 5:30 p.m. Monday - Friday, 10 a.m. - 2 p.m. Saturday. Seven galleries await guests at this little piece of history in downtown Little Rock. 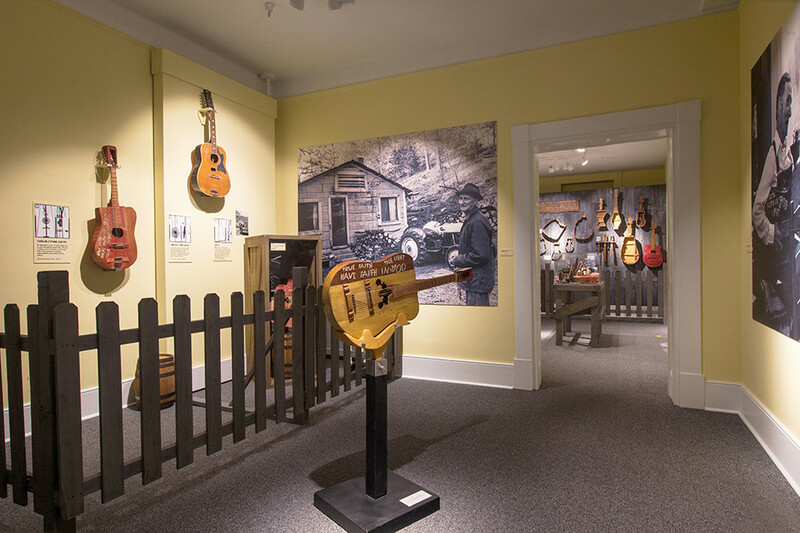 Guests can explore historical exhibits, contemporary Arkansas-made exhibitions and an interactive children's gallery filled with both traveling pieces and permanent collections. Open 10 a.m. - 4:30 p.m. Monday - Saturday, 1 - 4:30 p.m. Sunday. 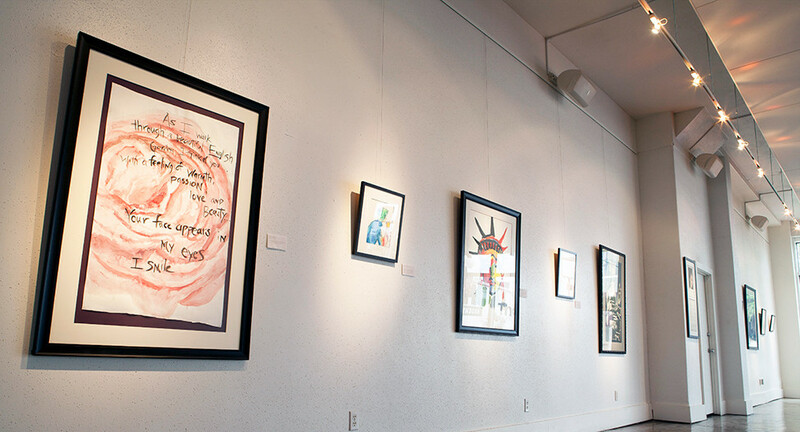 Along with hosting regular events and weekly poetry readings, this Argenta gallery shows unique pieces from various Arkansas artists, including a mural by Angela Davis Johnson on its outer wall. Open 11 a.m. - 5 p.m. Tuesday - Thursday, 8 p.m. - midnight Friday. Opened in 2010, L & L Beck was built to showcase the work of local artist Louis Beck, and is now filled with eclectic works of painting and wood carving. The space schedules monthly features and art classes, as well as regular art giveaways. Open 10 a.m. - 6 p.m. Tuesday - Saturday. The work of more than 25 of Arkansas' finest artists cover the walls at Local Colour. Paintings range from traditional to contemporary, including oil, pastel and watercolor, along with works in glass, wood and ceramics. Open 11 a.m. - 5 p.m. Monday - Saturday or by appointment. Calling Riverdale home for nearly two decades now, this shop pairs a lifetime of framing expertise with a lineup of local and international artists available for purchase. 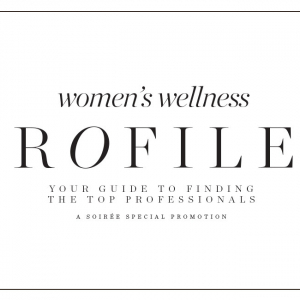 Expect to find artists like Kitty Harvill, Doris Williamson Mapes, Hazel Sweeney and Heng Wu. Open 10 a.m. - 5:30 p.m. Tuesday - Friday, 10 a.m. - 3 p.m. Saturday. The works of local, regional, national and international artists — including two-time Annual Delta Exhibition award-winner Lisa Krannichfeld — are all on display at this gallery located in the Pleasant Ridge Town Center, which also offers custom framing materials. Open 10 a.m. - 5 p.m. Tuesday - Saturday. "Tigress" by Lisa Krannichfeld, 2018; Chinese ink, watercolor, acrylic, cyanotypes, paper collage and resin; 33 x 27 inches. Partnership with M2 Gallery. Across the street from his striking koi pond mural in downtown sits Matt McLeod's gallery, where he features paintings, sculpture, drawings, photography and mixed media pieces from artists across the nation. Open 10 a.m. - 6 p.m. Tuesday - Friday, 10 a.m. - 4 p.m. Saturday. Located just a stone's throw from the Arkansas River, this cozy gallery features the works of Pat Matthews, Tracee Gentry-Matthews, James Hayes and Paula Jones. Open noon - 4 p.m. Tuesday - Saturday or by appointment. As a pillar in the Department of Arkansas Heritage, this facility houses interactive, educational and artistic exhibits focusing on preserving and celebrating African American history and culture in the state. Open 9 a.m. - 5 p.m. Tuesday - Saturday. This intimate SoMa space is still largely unknown in the Little Rock arts scene, and while the gallery features collaborations with local visual artists, it also doubles as home to a regular chamber music concert series. Open by appointment. Step back in time in this beautiful structure originated in 1833. Along with the museum's permanent collection of historical Arkansas pieces, it also hosts temporary exhibits of a broad range of mediums. Open 9 a.m. - 5 p.m. Monday - Saturday, 1 - 5 p.m. Sunday. Original paintings, glasswork, sculptures and custom framing services are just a few of the offerings in this Historic Park Hill neighborhood shop. Open 10 a.m. - 5:30 p.m. Monday - Friday, 10 a.m. - 4 p.m. Saturday. Set in Riverdale, this local gallery claims the title of "Little Rock's best kept secret" for all things art and custom framing. Open 7:30 a.m. - 4 p.m. Monday - Friday. On the first floor of the Windgate Center of Art and Design sits this 1,000-SF gallery, designed to spark diverse conversations between students, faculty and the community. During school year: Open 9 a.m. - 5 p.m. Monday - Friday, 10 a.m. - 1 p.m. Saturday, 2 p.m. - 5 p.m. Sunday, closed on university holidays. During summer semester: Open 9 a.m. - 5 p.m. Monday - Thursday or by appointment, 9 a.m. - 4 p.m. Friday or by appointment, closed on weekends and university holidays. Contemporary works from established and emerging artists from across the country fill Stephano's in The Heights, a fine art gallery that has won multiple local and national awards with a broad array of styles and mediums. Open 10 a.m. - 6 p.m. Tuesday - Friday, 10 a.m. - 5 p.m. Saturday. In the heart of Argenta, the Thea Foundation is a nonprofit devoted to furthering the arts for kids in Arkansas, but its homebase also houses a gallery showcasing works by students, local artists, educational groups and the foundation's inspiration, Thea Kay Leopoulos. Open 9 a.m. - 5 p.m. Monday - Friday. 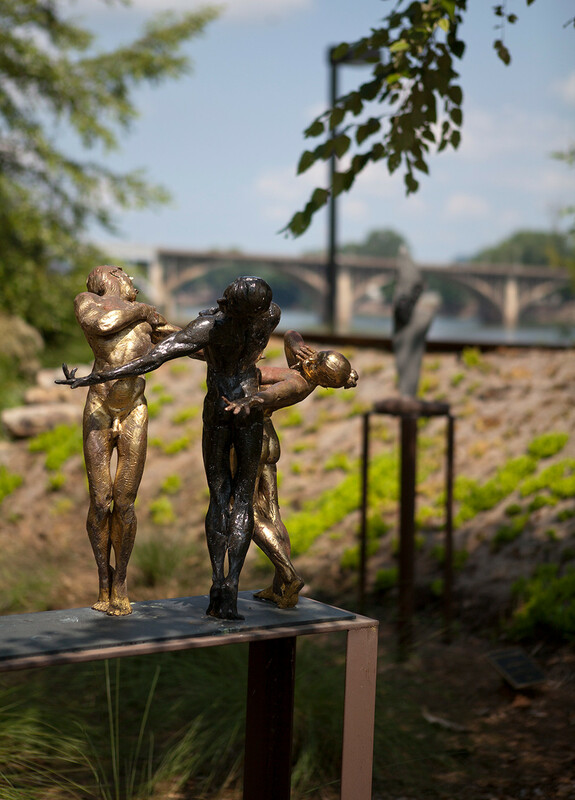 Lining the south bank of the Arkansas River, the Vogel Schwartz Sculpture Garden contains works ranging from natural terraces and walkways to smaller crafted pieces dotting the Riverfront Park sidewalks. Open 24 hours a day, seven days a week. Festivals, classes and performances make up most of Wildwood's calendar of events, but its regular lineup of touring art exhibits featuring local, regional and national artists is not to be missed. Open free daily; admission is charged only on festival weekends. Open 9 a.m. - 5 p.m. Monday - Friday, 10 a.m. - 5 p.m. Saturday, noon - 5 p.m. Sunday. 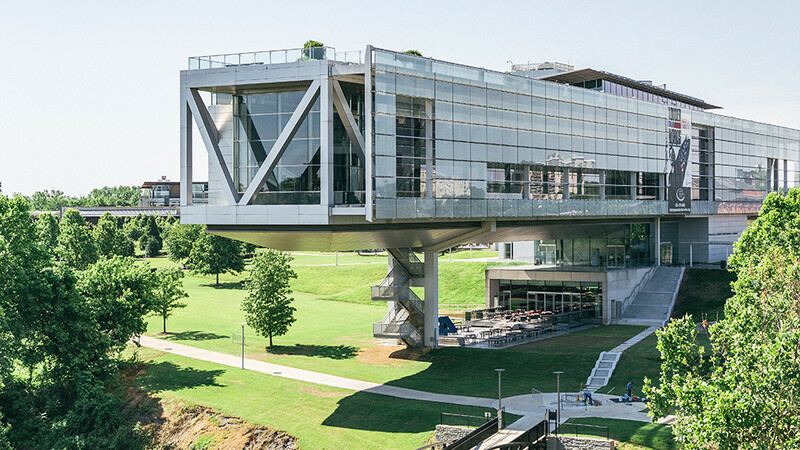 This iconic feature on the Little Rock skyline is home to international traveling exhibits, educational programs and lectures throughout the year, as well as, of course, a display reflecting the life and work of the 42nd President of the United States, full-scale replica of the Oval Office included. Open 9 a.m. - 5 p.m. Monday - Saturday, 1 - 5 p.m. Sunday. Set inside the Center for Humanities and Arts (CHARTS) at UA Pulaski Tech, the Windgate Gallery exists to help the university in its mission to "promote student learning and enable individuals to develop to their fullest potential." The space regularly hosts exhibits from student, local and regional artists. Open 10 a.m. - 6 p.m. Monday - Thursday, 10 a.m. - 5 p.m. Friday, 10 a.m. - 2 p.m. Saturday.